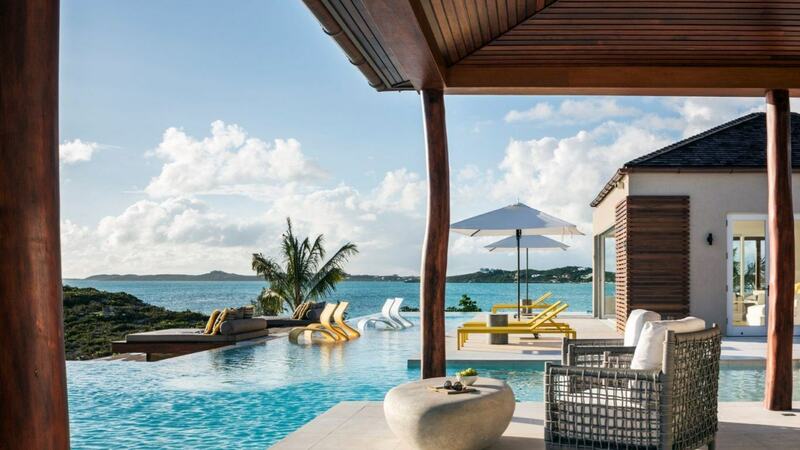 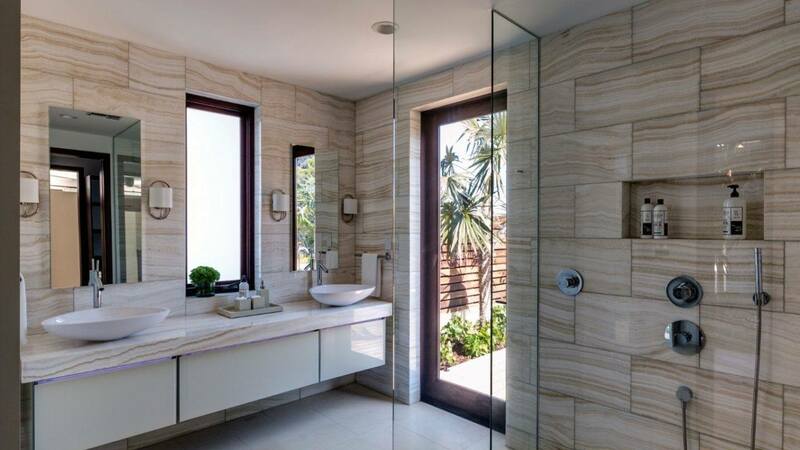 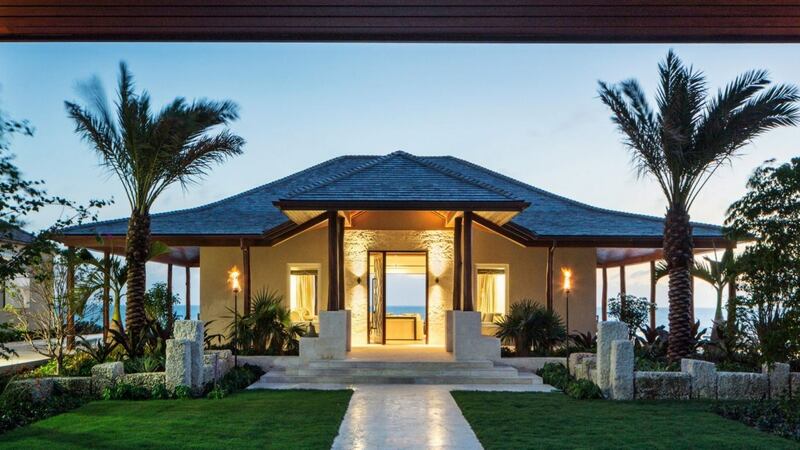 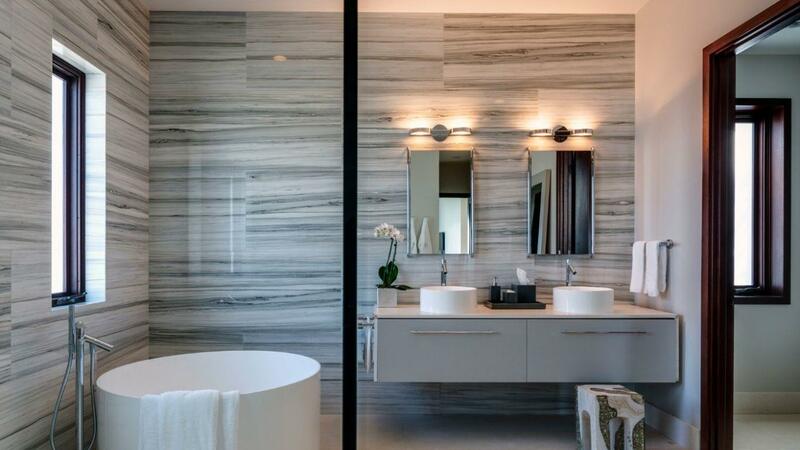 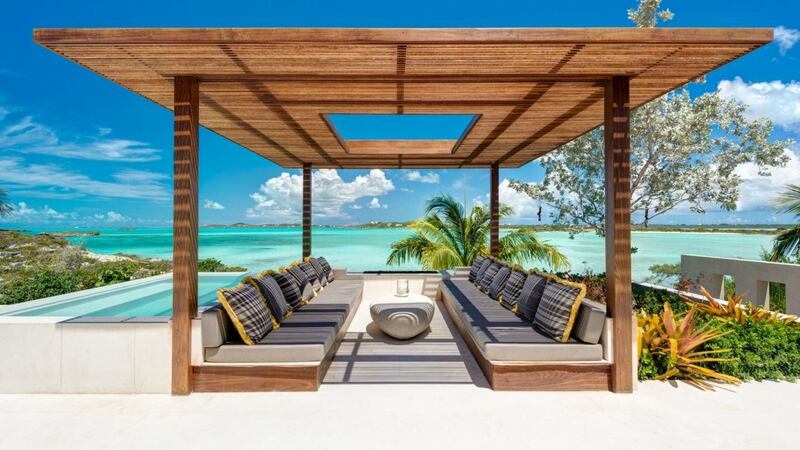 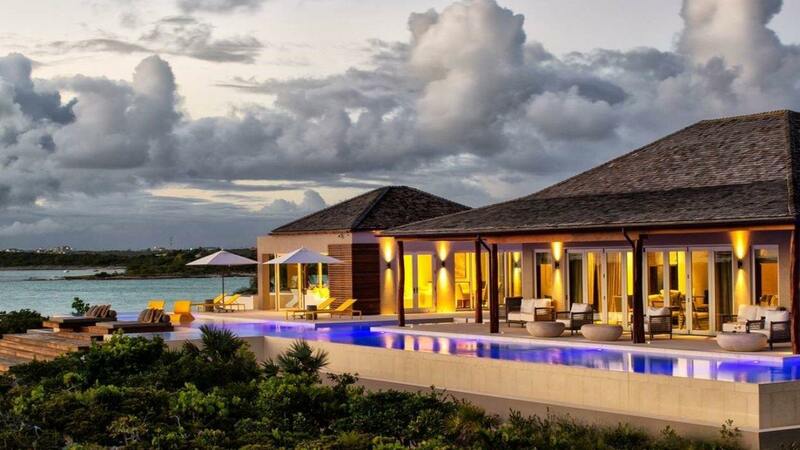 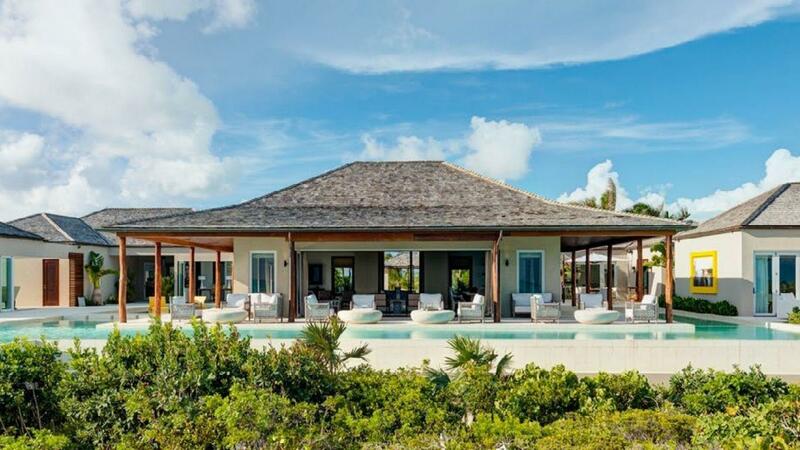 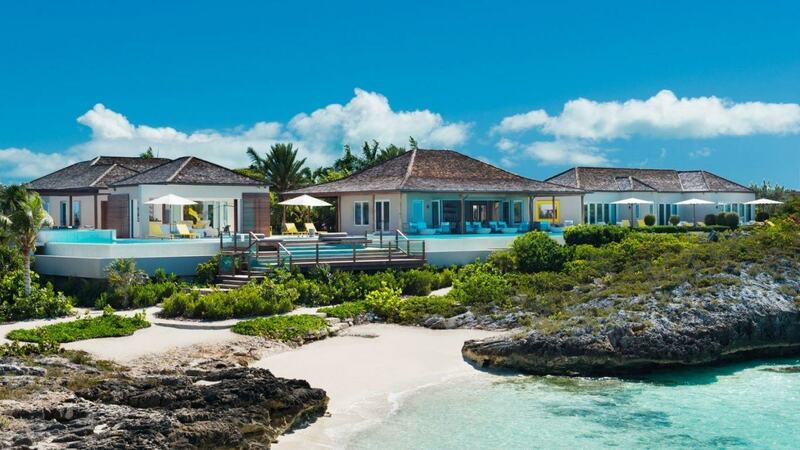 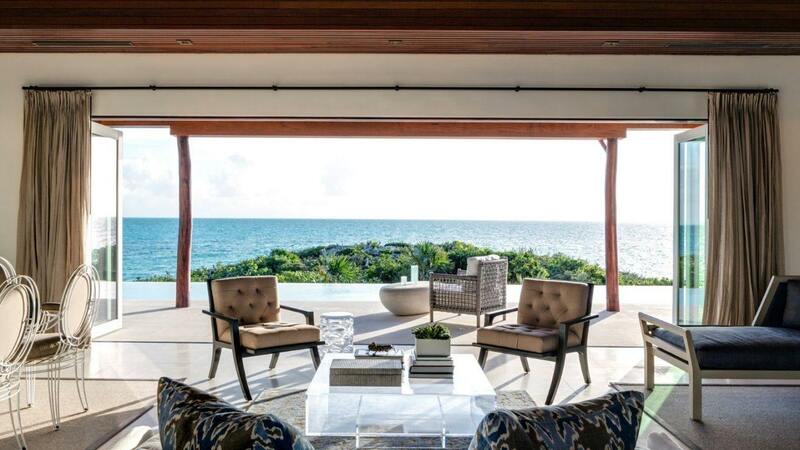 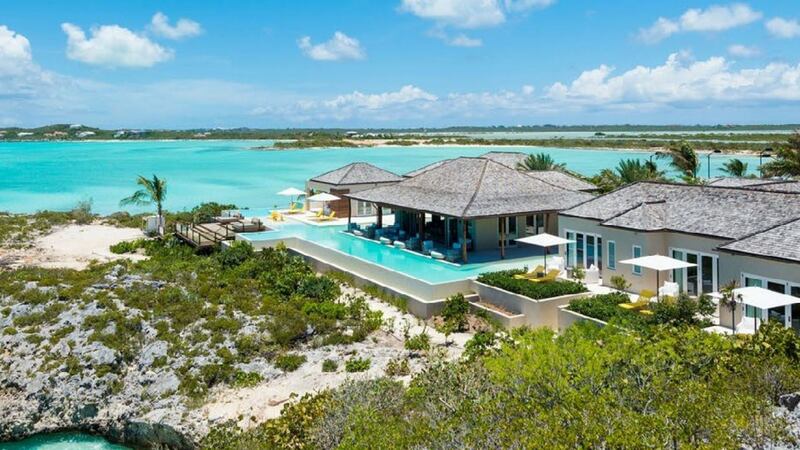 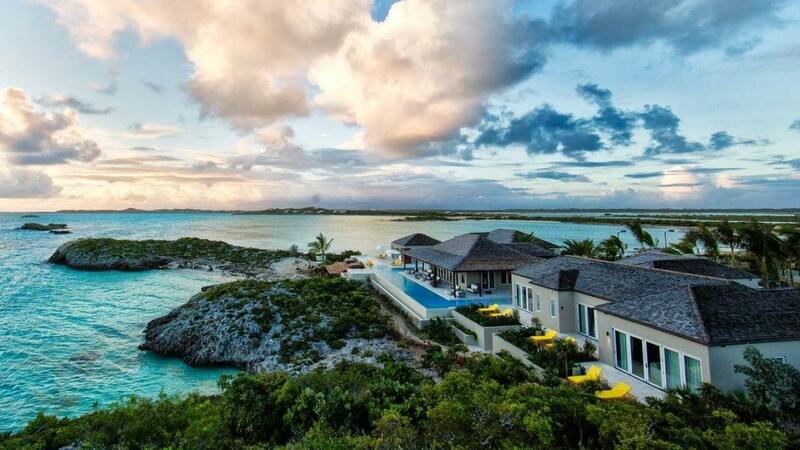 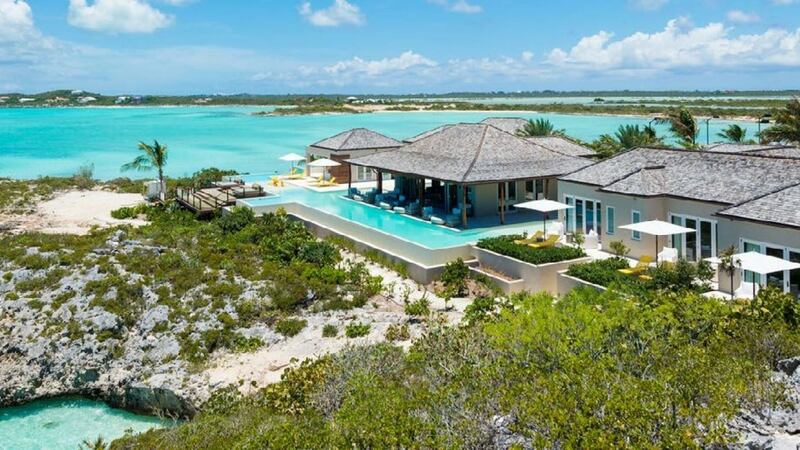 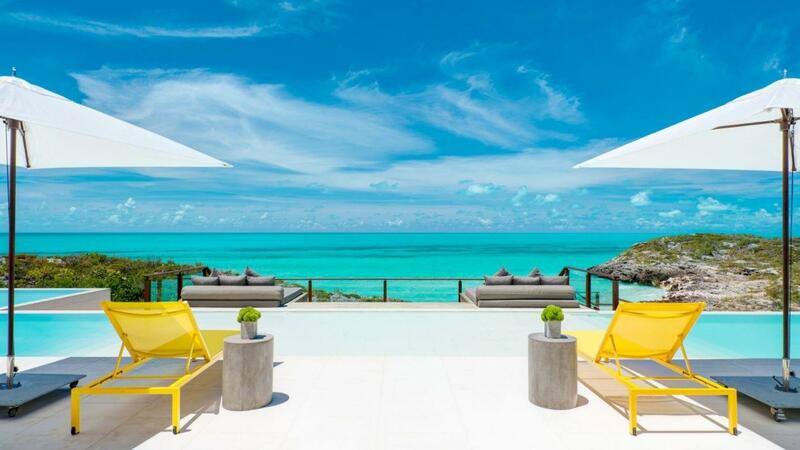 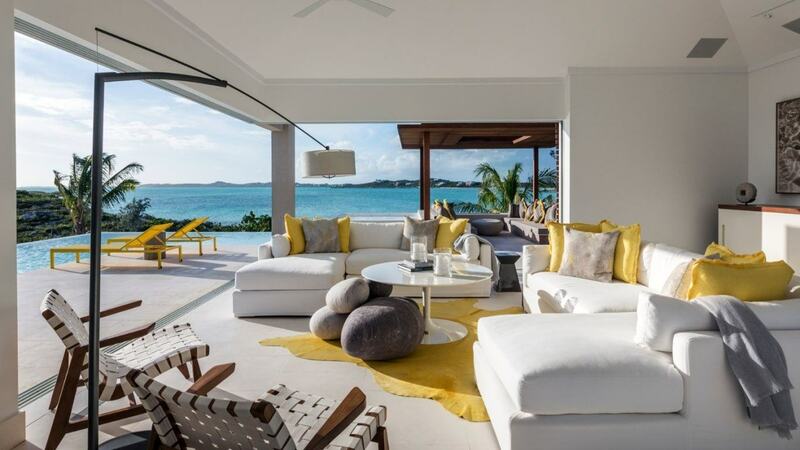 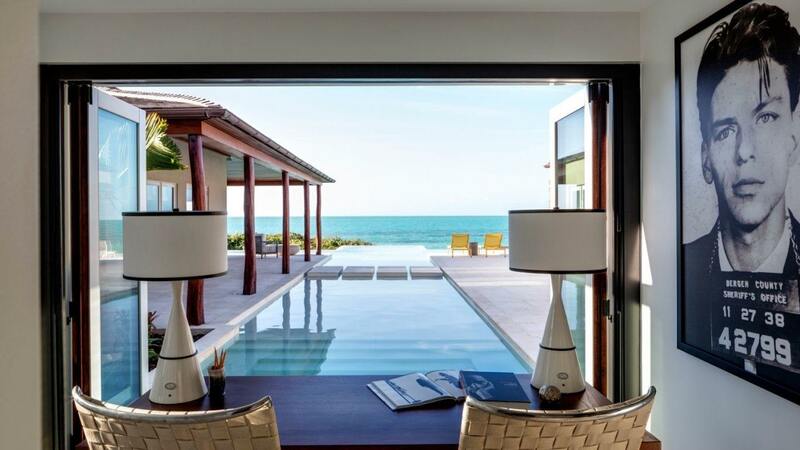 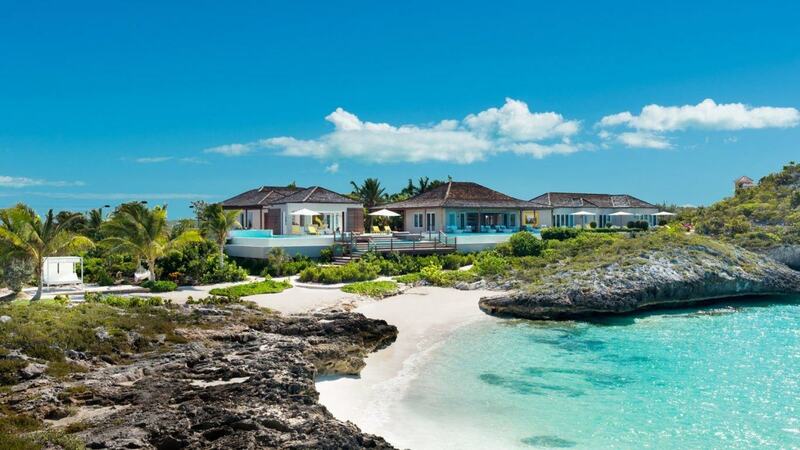 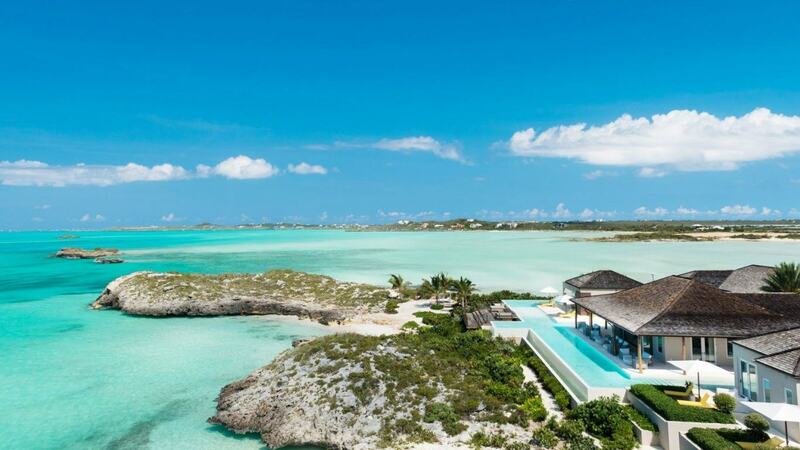 Villa Kitty is a luxurious tropical residence over Grace Bay which is rated as one of the worlds best beach in Providenciales, Turks and Caicos Island. 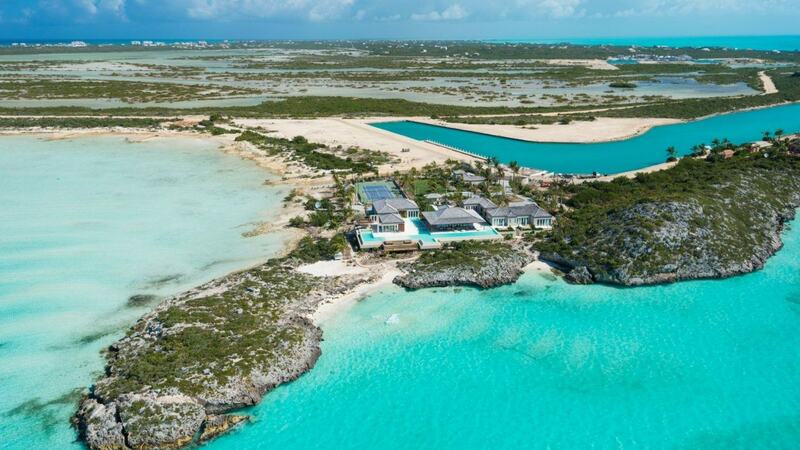 This magnificent private property has a 4.57-acre peninsula with its own 90' dock for yacht morning. 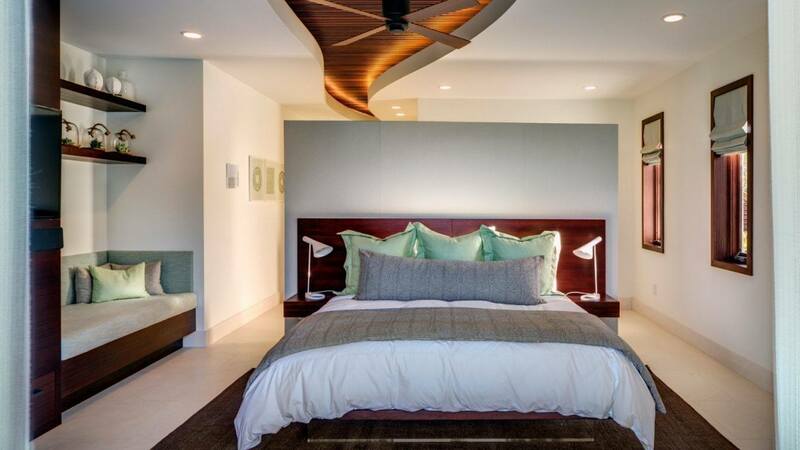 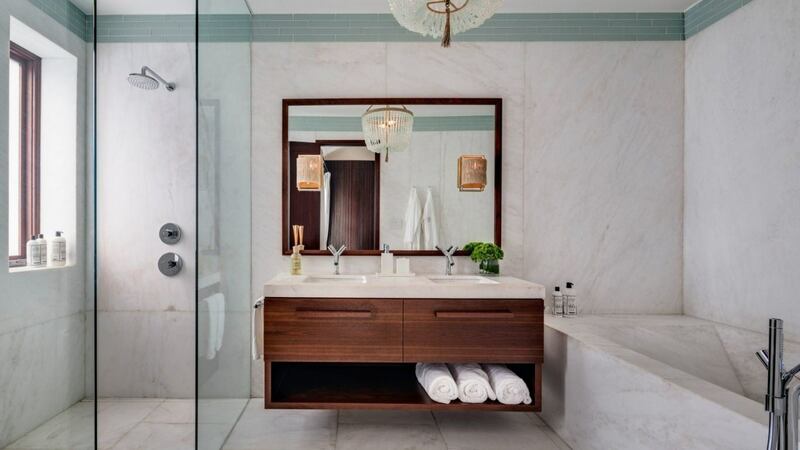 The house is masterfully executed on an impeccable architectural and interior design level in every sophisticated detail. 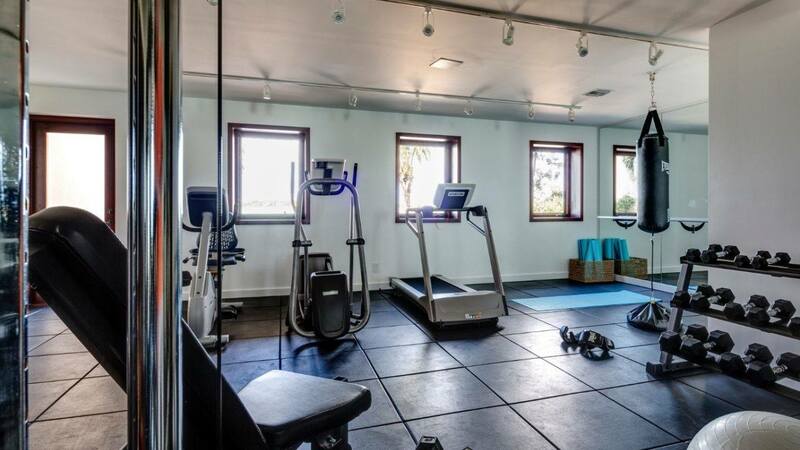 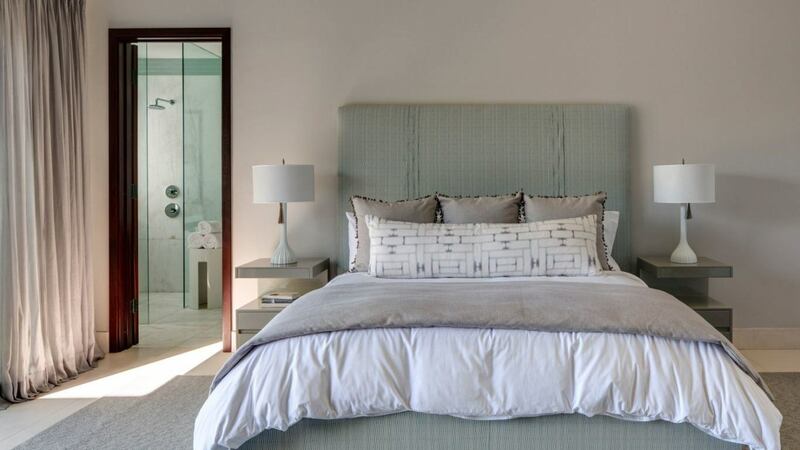 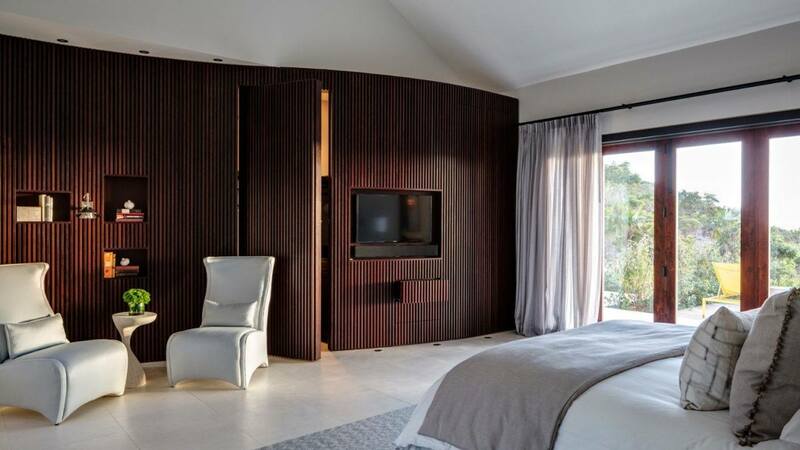 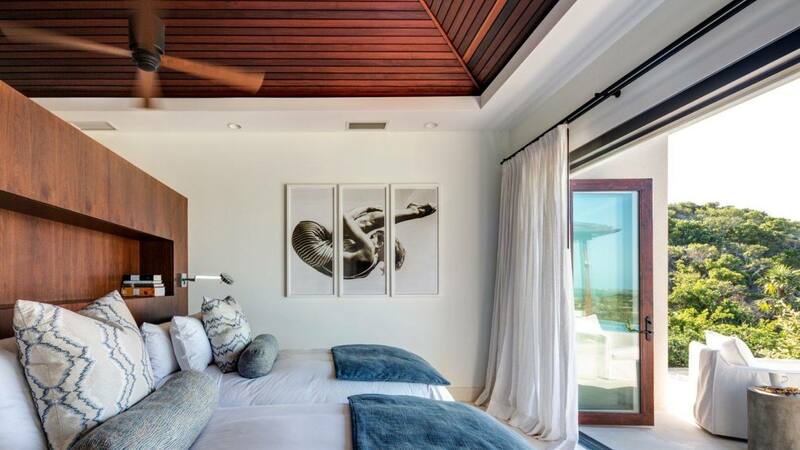 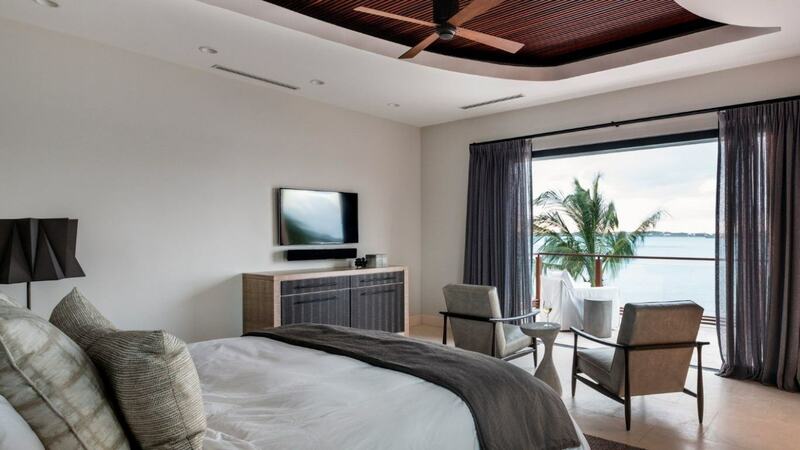 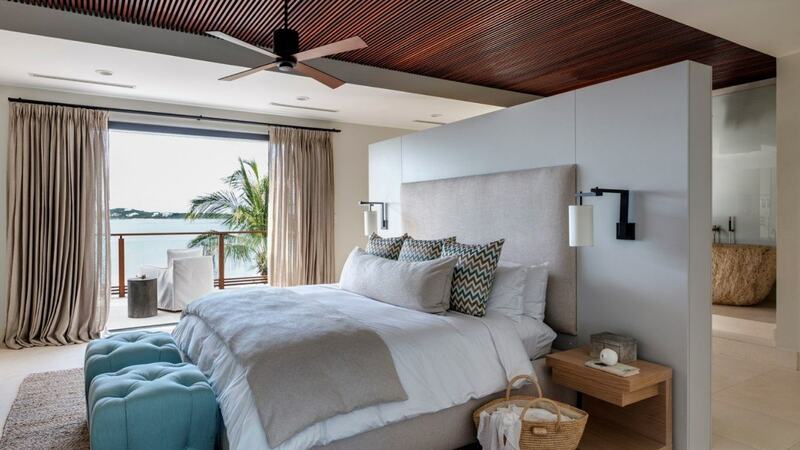 It includes five spacious bedrooms in the main residence with four gorgeous master bedroom and a twin master bedroom all with beautifully architectured bathrooms. 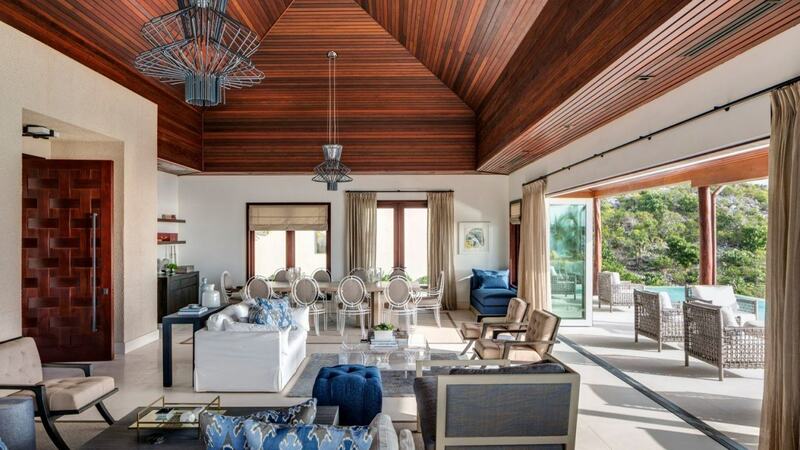 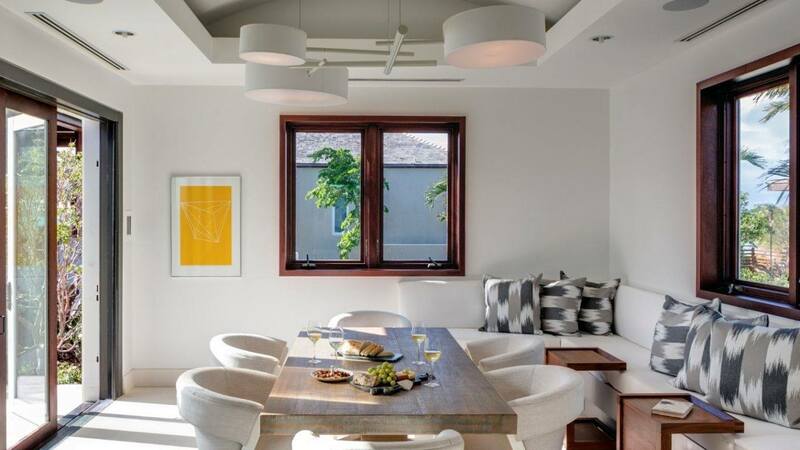 The spacious and open layout of the living room provides a spectacular view of the sea, including its high vaulted ceiling. 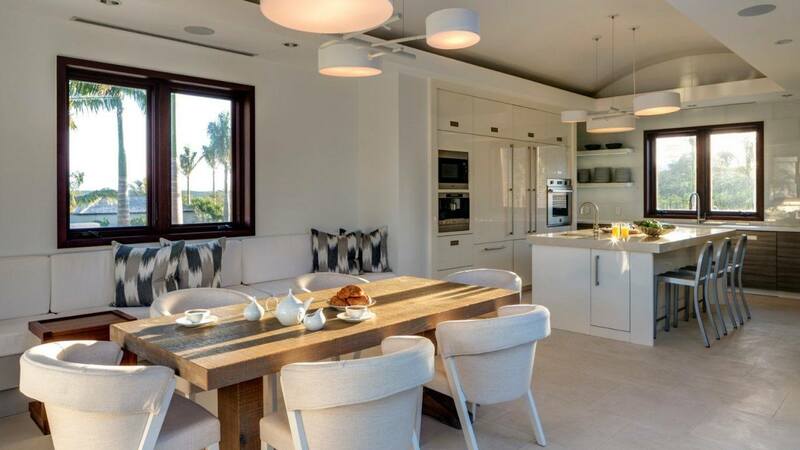 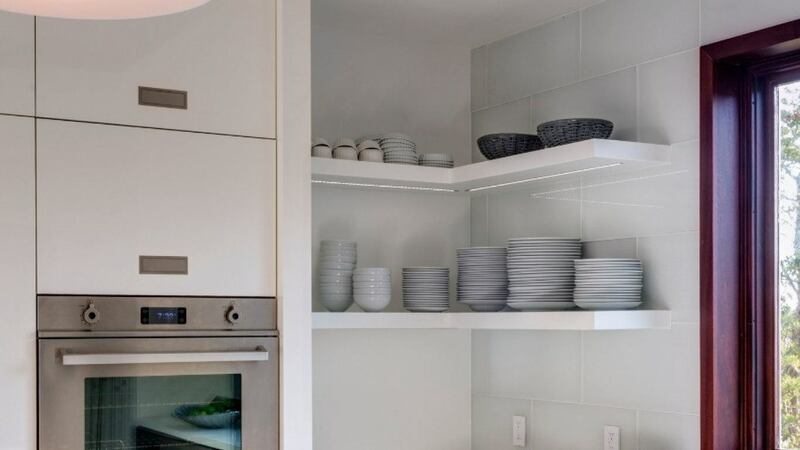 The fabulous kitchen completed the house with its well-designed countertop and modern appliances. 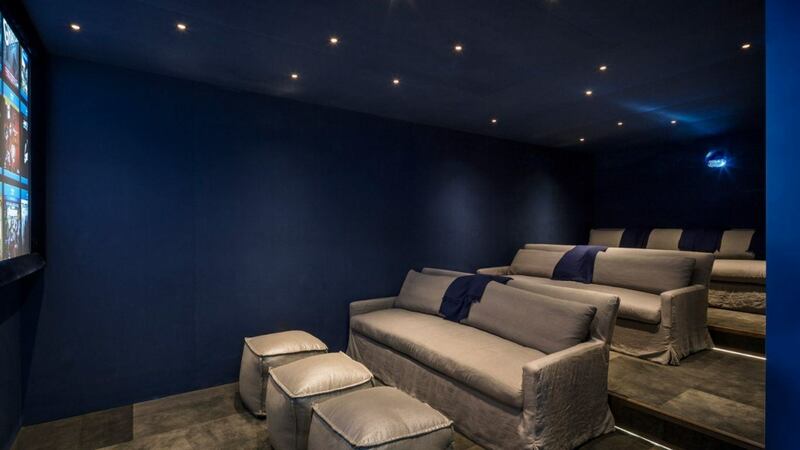 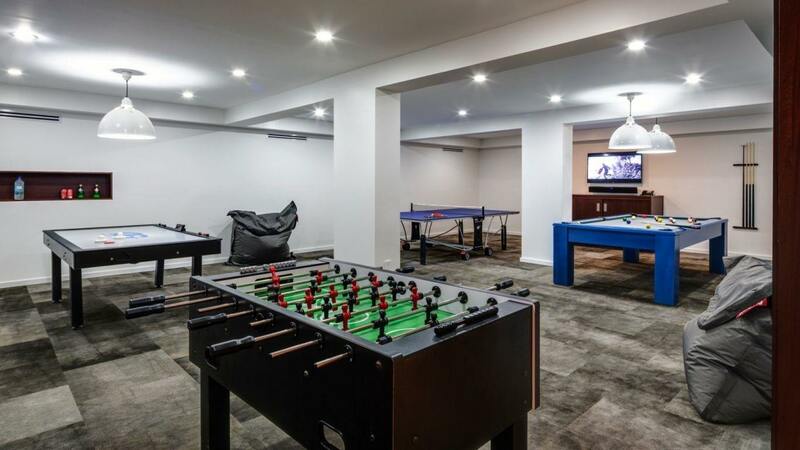 A fully integrated smart control system and a top-of-the-line audiovisual system is a perfect addition to the property's luxury. 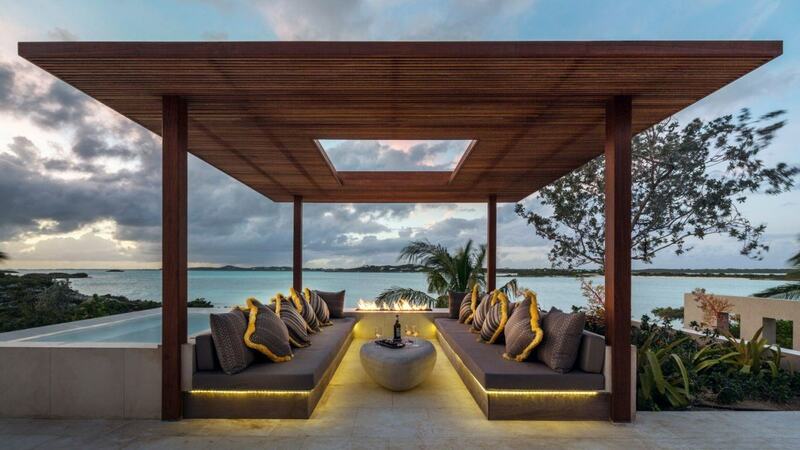 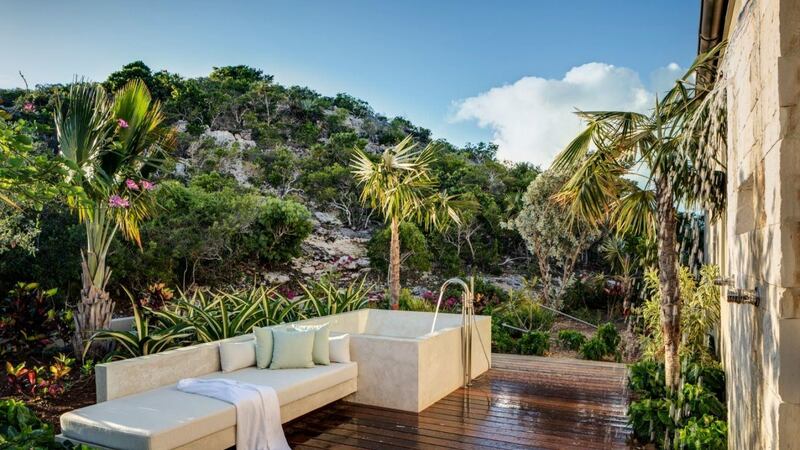 The outside space has an expansive wrap-around infinity-edge pool with modern LED lighting, multiple outdoor lounge and daybed areas, contemporary fire-pit daybed pavilion and an outdoor pizza oven. 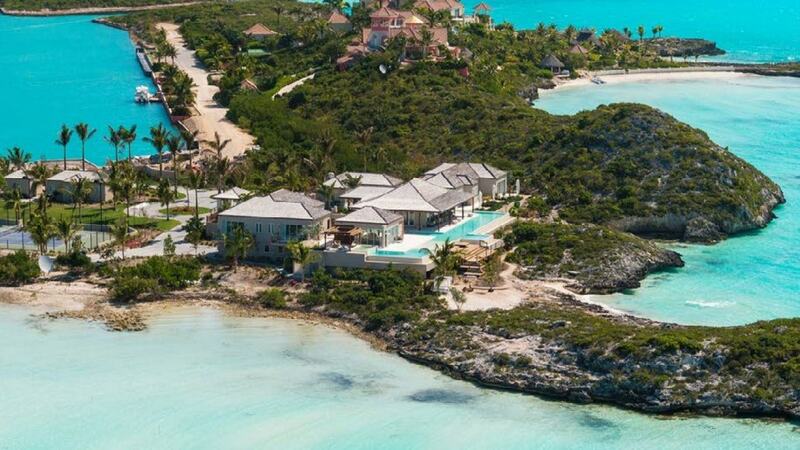 The house will give you unparalleled island living experience with approximately 1,400 feet of breathtaking, panoramic water frontage. 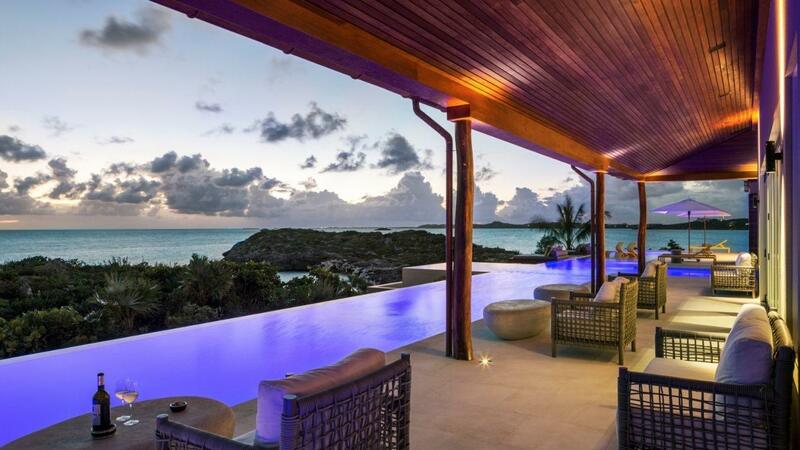 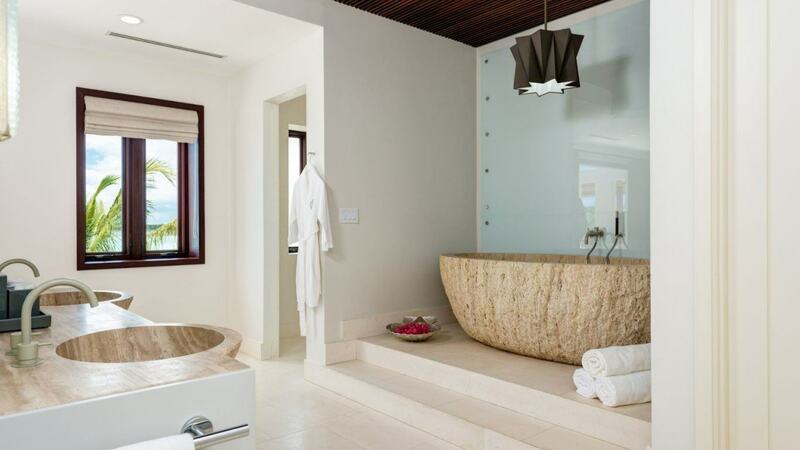 An ideal location for a one in a lifetime vacation. 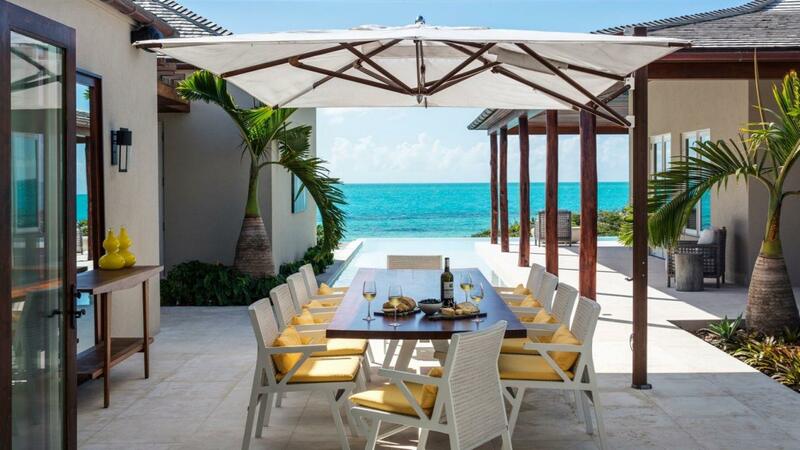 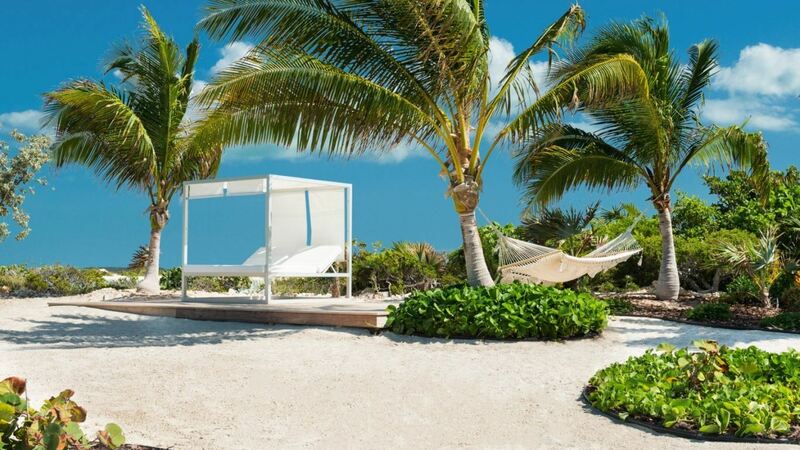 Found on the south coast of Providenciales, this residential region offers some of the finest vistas on the island. 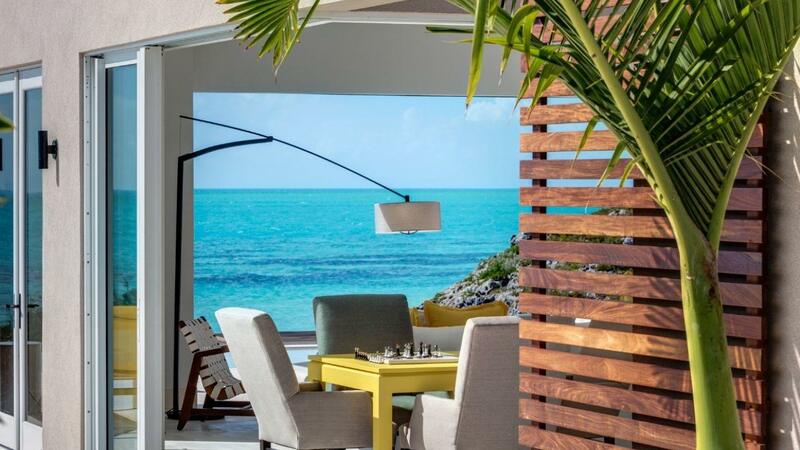 The Turtle Tail area offers several small beaches between the rocky bluffs and hills off the south side of Providenciales.